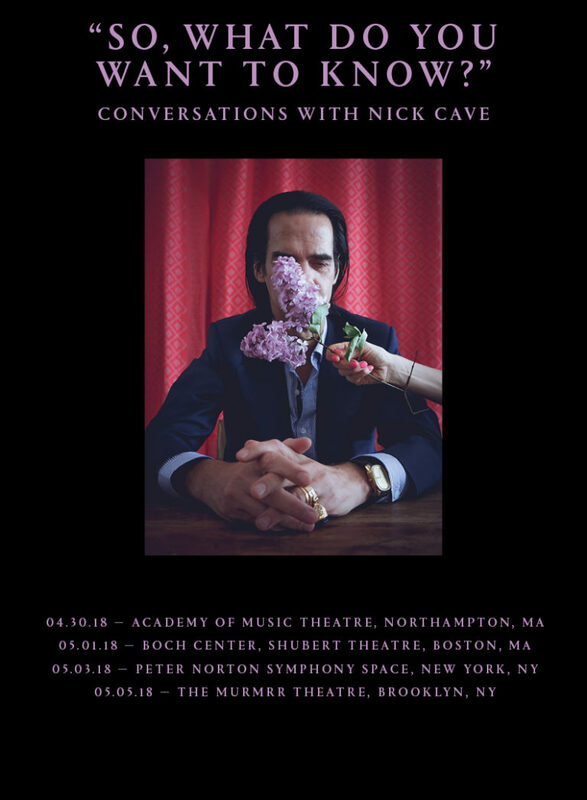 Nick Cave has announced a special four night series of on-stage conversation events which will take place in the East Coast US this April and May. The idea was inspired by Nick Cave & The Bad Seeds’ 2017 world tour and Nick Cave’s evolving relationship with his audience. These shows became vast communal events and it is this relationship that he hopes to explore directly through this series of conversations.